Going to the beach you need to place this product in your bag to use to wash up. Shea moisture as I have said before is a wonderful product for all hair types and there body wash is also a excellent product. 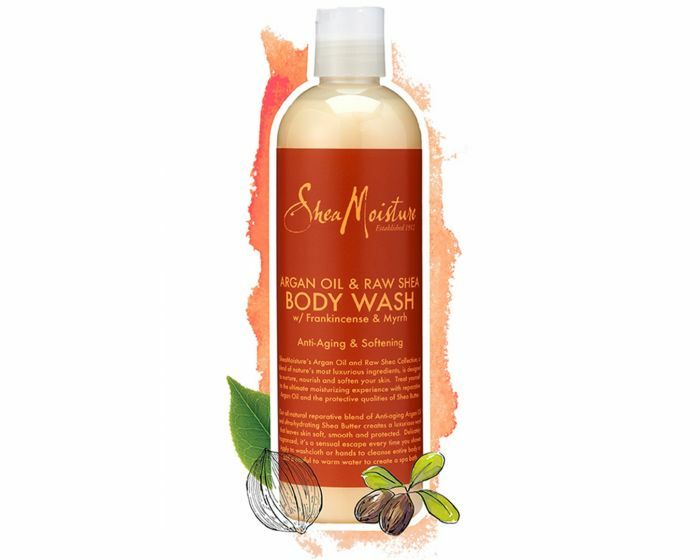 Shea Moisture’s Argan Oil & Raw Shea Body Wash cleanses, repairs and softens dry, rough skin. Helps prevent early signs of aging. Made with natural and certified organic ingredients. And when the product says it cleans it cleans. This body wash has a nice, subtle, clean smell and will get the sand away from your body. And also the product is good for home use. I like going out to dinner after the beach so I go to the showers and use the travel size and just wash up. A nice clean feeling this product will leave you. Apply to washcloth or hands, create a rich lather and cleanse entire body. Or, add a capful to warm water to create a spa bath. Either way it will definitely clean you up.